We all remember the first days of school. Seeing familiar faces. Meeting new teachers and students. Learning names. Getting lost trying to find classrooms. Understanding rules and policies. Grasping class expectations. Reviewing course syllabi. At New Tech High at Coppell (NTH@C), we do things differently. The first three days of school are dedicated to grade level first week projects. The Rookies, as we call our Freshmen, are asked to explore how self-reflection and awareness help learners become contributing members of the NTH@C community. Students take learning style surveys and personality tests. They are asked questions about their interests. They work in groups and while they learn more about themselves, they are also challenged to find commonalities with their group mates. The project culminates in creating a group time capsule, which will be opened their senior year. After having four days to work, Rookies present their capsules and what they learned to the rest of the class. Along the way, the Class of 2022 is going through Project-Based Learning boot camp. They are taken through every step from the launch to ideas of post-project reflection. 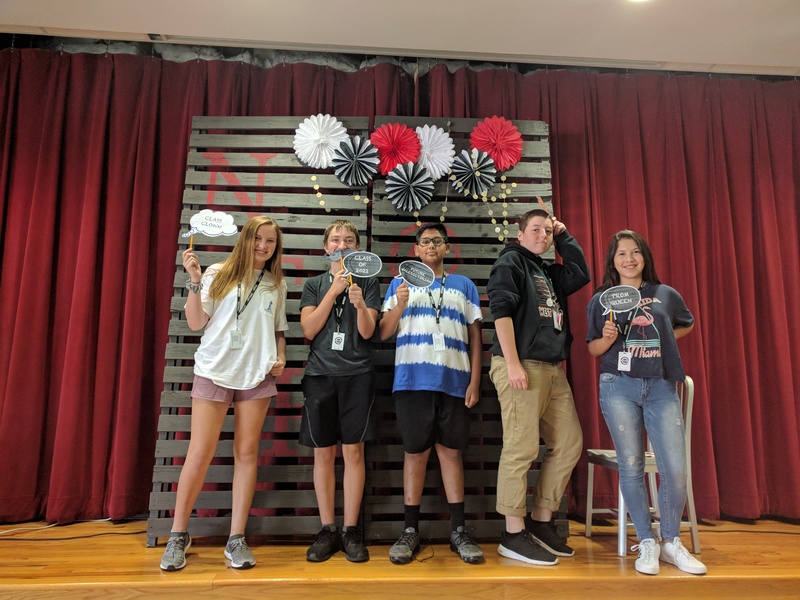 They also attend workshops about how to dress for presentations, how to read and meet rubric expectations, how to collaborate, and how to work their MacBook Airs. Most importantly, Rookies are gaining an understanding of NTH@C values and philosophies. They recognize what strengths and weaknesses they bring to a group. They practice receiving and giving feedback and why this process is so valuable. They feel valued and supported not only by their facilitators but especially by the Seniors from the Learner Leadership Council who guide them through the First Week Project. Students demonstrate great creativity as they negotiate what each of them is like individually in a group representation via the time capsule. They curate their artifacts, images, designs, songs, re-written lyrics, letters to self, and videos. They self-organize when planning and timing their presentations. Check out this video entitled, Batik’s Plan. Notice the effort of including so much New-Techiness as well as an internalization of what this new learning context means to them. Huge shout out to risk-takers Finley, Miles, Daniela, Owen, and Samanyu! No doubt the Class of 2022 will be delighted when opening their long forgotten time capsules in four years. They may also forget their impressive presentations that demonstrated such grace, growth, and going-for-it attitude, but I will not. Some may say the First Week Project is a lot of information for such a small amount of time, and they would be right. But if this is any indication of what’s to come, I have numerous enthusiastic educational experiences ahead of me. I cannot wait to see what the rest of this year brings with the Class of 2022.